Rajasthan politics getting warms due to upcoming assembly elections. Bhanwari Devi case is not leaving congress in elections too. A movie based on the Bhanwari Devi case is released in Rajasthan on this friday. Showing at more than 50 theatres in Rajasthan, Bhanwari Devi film is directed by Surendra Singh Rathore with a title ‘Kahani Ek Devi Ki’. It stars actors Karmvir Singh and Rashmi. 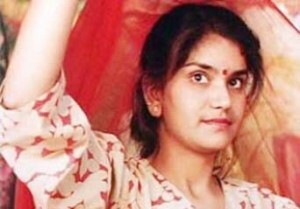 It may be recalled that nurse Bhanwari Devi was kidnapped and then murdered with CBI having been given charge of the investigation into the case. Former Congress Minister Mahipal Maderna, MLA Malkhan Singh and several others are in custody in connection with the case.